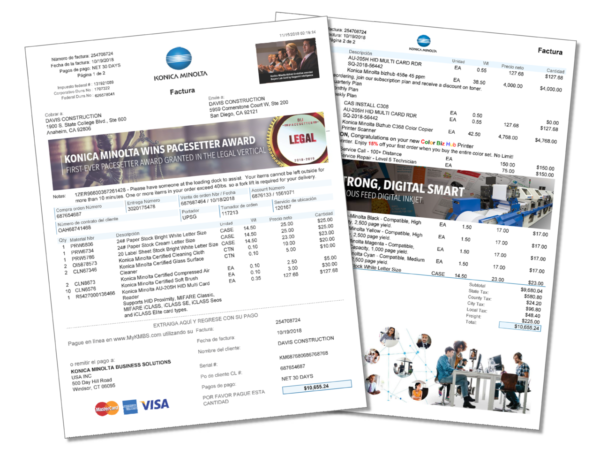 Some of the forms, labels and documents generated with DocOrigin business communications software solutions. 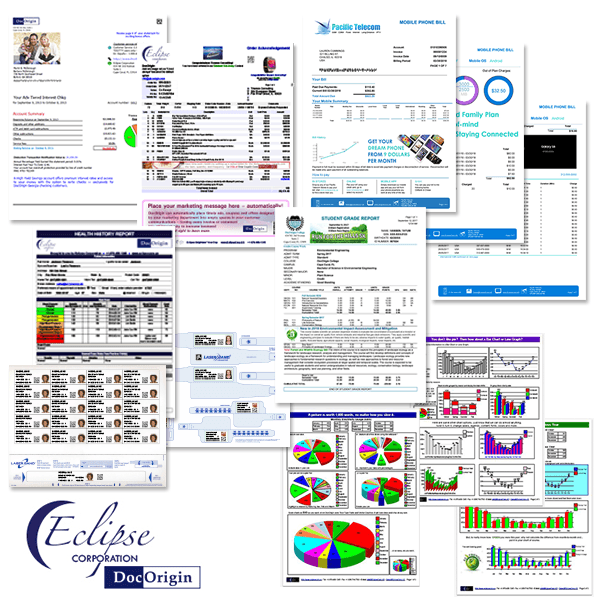 Eclipse Corporation is a leading provider of enterprise document design, presentation, generation and customer communications management software. Eclipse’s principles are simple: provide the right solution and get the job done – on time. Our team’s depth of knowledge and experience allow Eclipse to deliver on these principles every time. If you are seeking a next-generation replacement for legacy document solutions, our rapid form template migration and Integration Without Modification® methodology of your business software will save 20 to 40% on most migration projects.